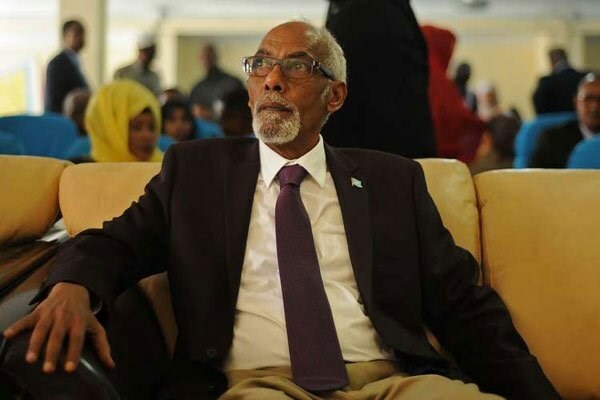 Mogadishu (HOL) – The embattled Lower House Speaker, Mohamed Osman Jawari has resigned from office just hours before an impeachment motion was to be tabled against him. The resignation is the culmination of over four weeks of political crisis that has paralyzed Somalia’s Parliament. Somalia’s Minister for Constitutional Affairs, Abdirahman Hosh Jibril who confirmed the resignation of the speaker said the motion against Jawari was called off as the speaker accepted to quit. “Breaking News: It is official that Speaker Jawari has resigned and the Motion has been put off. Whuuuuuf!!!. Mundane Jawari oo is casumay iyo mooshinkii oo la laalay. #IsooMareey #WhatIsMyName! !,” Jibril wrote on his Twitter Post. The development comes as House was planning to debate on the controversial motion against Jawari on Monday. The no-confidence motion against the Speaker which was submitted to the Parliament leadership has led a month-long political stalemate that divided the house members. Jawari is expected to address Parliament on Wednesday and may elaborate on the circumstances of his resignation. At the time of writing, both the Office of the President and the Office of the Prime Minister have not publicly commented on the developments.